Within Teamwork Projects, you can mark a project as complete once all its tasks and milestones have been completed. You can complete a project anywhere you see the project options menu. 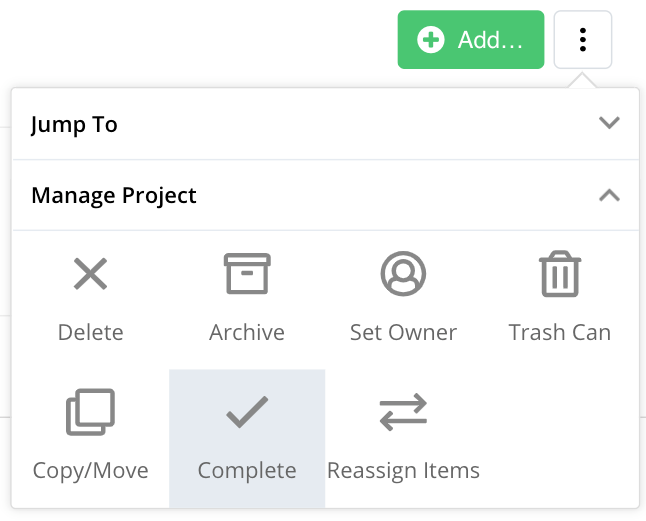 In the project's Overview tab, click the options (three dots) button in the top right, and select Complete from the Manage Project tab. 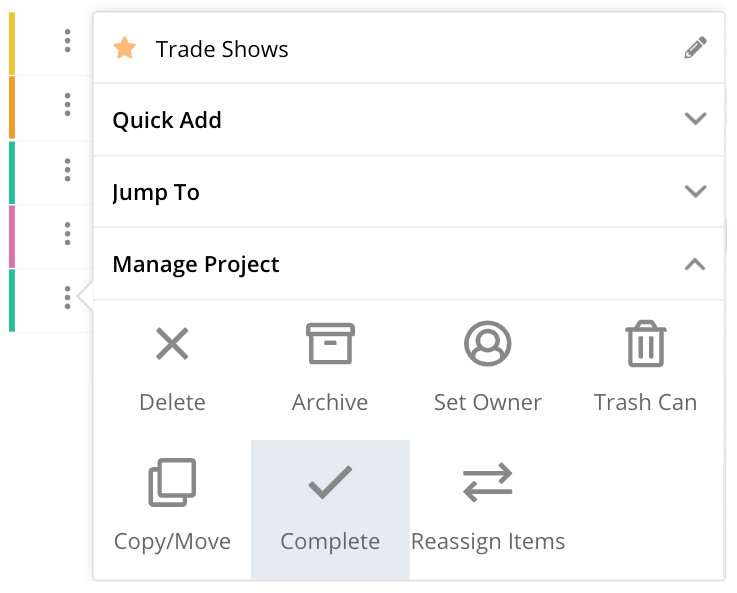 You can also complete a project using the three dots next to the project name in areas such as the main projects list, the project switching menu, project chart, or the activity view on the dashboard. You can also mark a project as complete in the area where you set the project start and end dates. Note: Marking a project as complete does not restrict the ability to make changes to the project. To prevent further changes, you would need to archive the project.